Living in Australia, it only makes sense to harness the clean, inexhaustible and free supply of energy from The Sun. Our a range of highly efficient solar hot water systems help reduce your carbon footprint whilst enjoying savings. To ensure there’s always hot water for those not so sunny days, an electric or gas booster is added to the system. 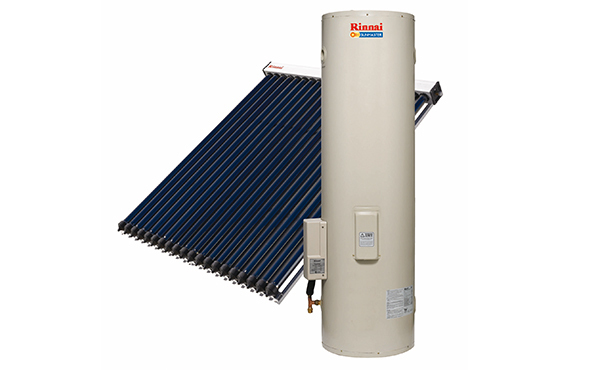 All of our gas boosted solar hot water systems utilise a dedicated continuous flow unit built around the same technology as the Rinnai Infinity, Australia’s number one continuous flow hot water system. It is always recommended that a solar hot water system be installed with a booster unit for days when there’s low solar gain. Our Sunmaster solar range is designed to maximise the free energy from the sun. Environmentally friendly and cost effective, we’ve developed 3 types of solar hot water units, close coupled systems, flat plate systems and evacuated tube systems, which allow our solar water heaters to be integrated into almost any home. Our hot water units are highly regarded for their innovation and superior quality, and our range of Prestige Solar Hot Water Systems are no different. 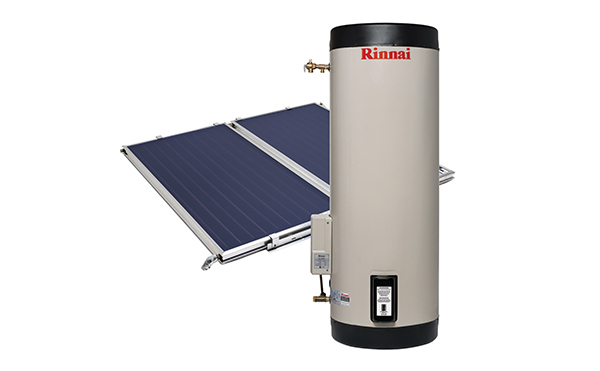 By replacing an electric storage water heater with a Rinnai Prestige Solar Water Heater, you can potentially reduce electricity consumption, running costs and environmental impact of your hot water system by 2/3rds.